Written about AD 56 or 57, the book of Romans reveals all about Gods righteousness and how he freely offers salvation to all people through faith. Written in Corinth Romans historically fits into the book of acts, near the end of Paul's third missionary journey. Paul Barnett has written this commentary with brilliant interpretation providing a reliable, readable, relevant resource. Romans : Focus on the Bible by Paul Barnett was published by Christian Focus Publications in September 2007 and is our 17235th best seller. The ISBN for Romans : Focus on the Bible is 9781845502690. 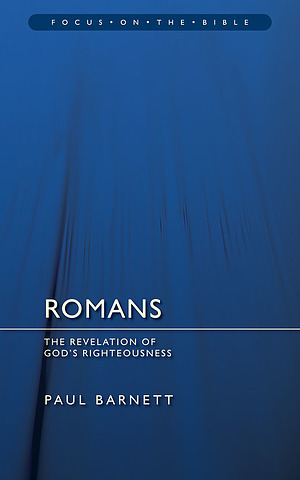 Be the first to review Romans : Focus on the Bible! Got a question? No problem! Just click here to ask us about Romans : Focus on the Bible.